As a transparent glass structure, illuminated with coloured light, the steam bath and brine cabin underscore the open and spacious character of the pool area. Total area: 1700m² thermal spa area. 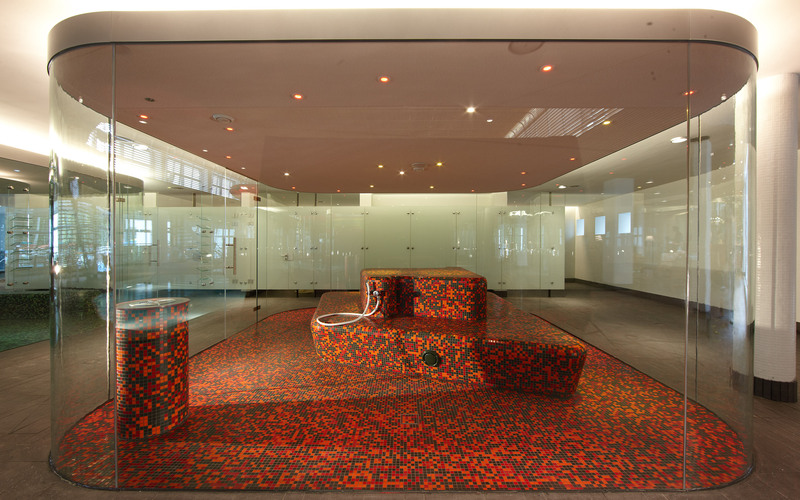 Glass steam bath with freestanding, red & black tiled steam chimney and benches. 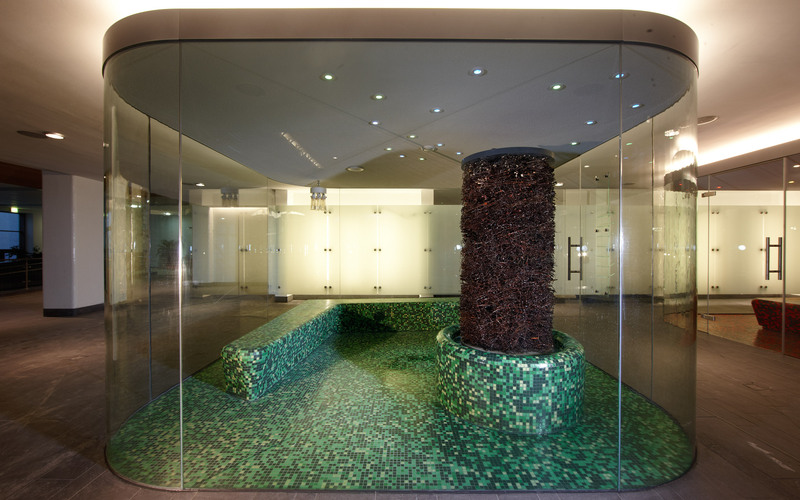 Glass brine cabin with green & black tiles and graduation tower which infuses the air with brine extracted from the depths of Bad Salzuflen. 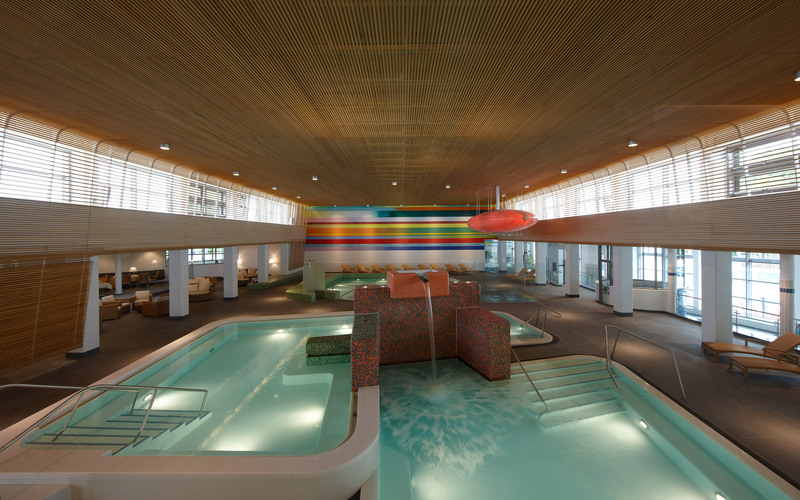 The transparent steam bath and brine cabin are located underneath the gallery, creating a completely fluid transition between the pool area and the sunbeds. 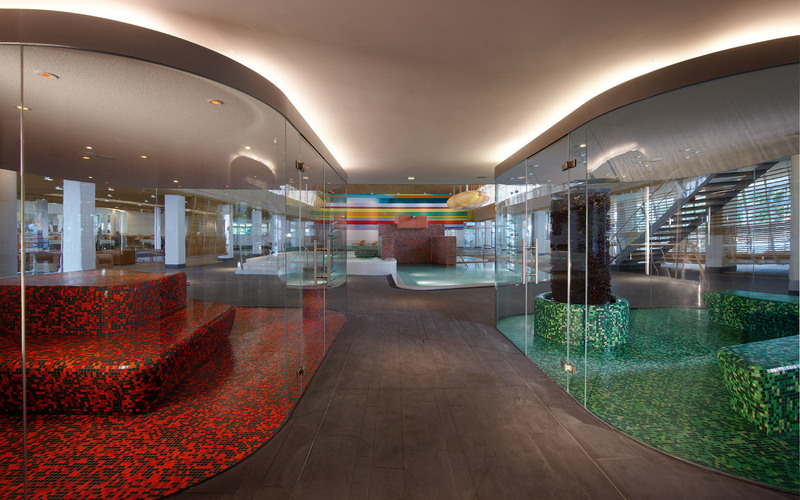 Various key criteria dictated the design for this “metamorphosis”: the architects used smooth transitions, warm materials, bold colours and special light effects to give the pool area its unique character.